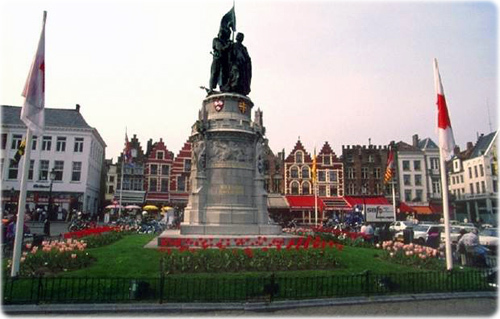 Belgium became independent from the Netherlands in 1830 and was occupied by Germany during World Wars I and II. It has prospered in the past half century as a modern, technologically advanced European state and member of NATO and the EU. Tensions between the Dutch-speaking Flemings of the north and the French-speaking Walloons of the south have led in recent years to constitutional amendments granting these regions formal recognition and autonomy. Government type: federal parliamentary democracy under a constitutional monarch. GDP (purchasing power parity): US$ 298.2 billion (2003 est.). GDP per capita (purchasing power parity): US$ 29,000 (2003 est.). Highest point: Signal de Botrange 694 m.
Population: 10,348,276 (July 2004 est.). Population growth rate: 0.16% (2004). Life expectancy at birth: 78.4 years. Religions: Roman Catholic 75%, Protestant or other 25%. Languages: Dutch (official) 60%, French (official) 40%, German (official) less than 1%, legally bilingual (Dutch and French). 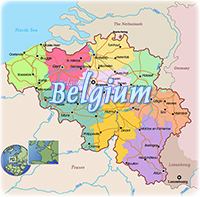 10 provinces (French: provinces, singular - province; Dutch: provincies, singular - provincie) and 3 regions (French: regions; Dutch: gewesten); Antwerpen, Brabant Wallon, Brussels (Bruxelles), Flanders, Hainaut, Liege, Limburg, Luxembourg, Namur, Oost-Vlaanderen, Vlaams-Brabant, Wallonia, West-Vlaanderen. Note: as a result of the 1993 constitutional revision that furthered devolution into a federal state, there are now three levels of government (federal, regional, and linguistic community) with a complex division of responsibilities. Flat coastal plains in northwest, central rolling hills, rugged mountains of Ardennes Forest in southeast. This modern private enterprise economy has capitalized on its central geographic location, highly developed transport network, and diversified industrial and commercial base. Industry is concentrated mainly in the populous Flemish area in the north. With few natural resources, Belgium must import substantial quantities of raw materials and export a large volume of manufactures, making its economy unusually dependent on the state of world markets. Roughly three-quarters of its trade is with other EU countries. Public debt is about 100% of GDP, and the government has succeeded in balancing its budget. 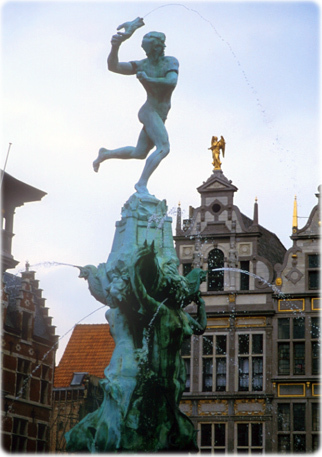 Belgium, together with 11 of its EU partners, began circulating the euro currency in January 2002. Economic growth in 2001-03 dropped sharply because of the global economic slowdown. Prospects for 2004 again depend largely on recovery in the EU and the US.